IAS accredits the inspection programs of companies that design and fabricate custom engineered metal building systems. The accreditation is based on requirements in IAS Accreditation Criteria AC472, International Building Code® and related standards. 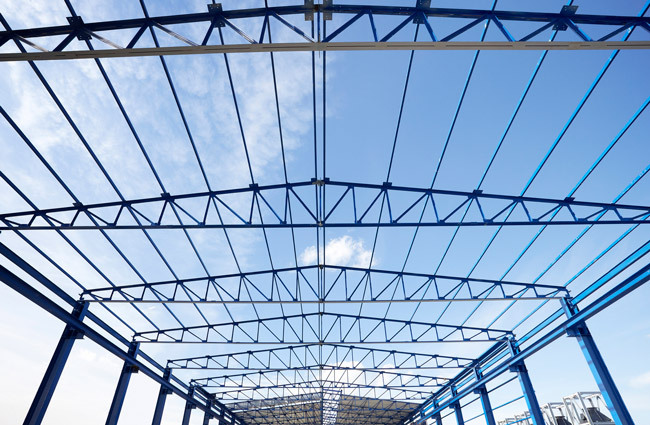 The accreditation criteria covers inspections of metal building system elements that are essential for designing, specifying, building or approving metal building systems. Verification that approved manufacturers meet requirements as described in Chapter 17 of the IBC. The benchmark for companies that design and manufacture engineered metal building systems. Provides a level of confidence that buildings will be designed and manufactured according to code and specifications. Recognized by the Metal Building Manufacturers Association (MBMA) and International Code Council (ICC). IAS also offers related accreditation programs that support metal building systems, including AC473 (Cold Formed Structures) and AC478 (Metal Building Assemblers). Get the latest information about accreditation practices, standards, training courses and more, when you join the IAS list for Metal Building Systems Inspection. To join, click here.